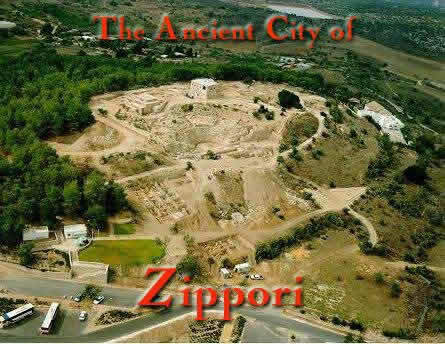 One of the more interesting events during our trip to Israel with Zola Levitt Tours in the summer of 2011 was when we visited the Orthodox Kibbutz near the neighboring towns of Nazareth and ancient Zippori (known as Sepphoris to the Romans). The friendly group welcomed our pilgrims and provided our people with dress similar to what was worn in First Century Israel, and a demonstration of how bread was cooked by families in those days. Zippori is revered by Orthodox Jews as the birthplace of Talmudic Judaism. After the Romans destroyed the Jerusalem Temple and Jews were scattered over the world, Rabbi Judah Hanasi codified the “Oral Law”, which had been passed down verbally from generation to generation, as a kind of extended commentary on the Torah, the five books of Moses. His work was called the Mishnah, the core of the Talmud. He did this work in Zippori around 200 A.D. Because of this, Zippori is a favorite place to visit when the Orthodox Jewish pilgrims come to Israel. However, most Christian groups know nothing about Zippori, and do not visit it. Ilan and I reviewed the Biblical account of Jesus’ escape as an infant from Bethlehem to Egypt with his family when Herod the Great sought to kill Him. The event that brought the Holy Family back to Israel was Herod’s death. The angel informed Joseph of the event, and told him to take his family back to Israel. Joseph took them to his home town of Nazareth, and there Joseph and Mary raised Jesus. Nazareth is based on the Hebrew term netzer, which means branch, and Matthew comments that this was the fulfillment of a prophecy, that the Messiah would be called the Nazarene, the branch of Jesse. Other events were occurring as a result of the death of Herod the Great. His kingdom was divided. His son Archaelaus received Jerusalem and Judea, including Caesarea. Herod Phillip received the Golan Heights, and Herod Antipas received the Galilee and Perea (an area east of the Jordan River). 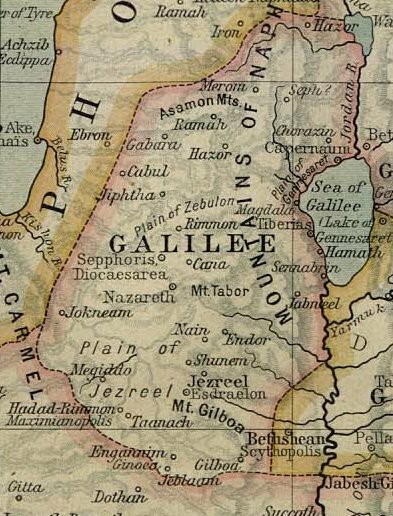 According to Josephus, Antipas established two capitals: Tiberias, on the Sea of Galilee, and Zippori, some 4 miles from Nazareth in the hill country of Lower Galilee. Josephus said Antipas made Zippori the “ornament of the Galilee,” and that it was well fortified militarily. He further said that it took 30 years to build. Isn’t it remarkable that at the same time the Messiah was being raised in the home of the carpenter Joseph, one of the sons of Herod the Great decided to build a splendid capital city within walking distance from the Messiah’s childhood and young manhood home? It would appear that just as Jesus was exiled from Israel in His infancy, and God provided for the family through the valuable gifts of the wise men: gold, frankincense and myrrh, so He provided for the family through a nearby building boom where Joseph, and later Jesus, could find employment for 30 years while Antipas was constructing his capital. 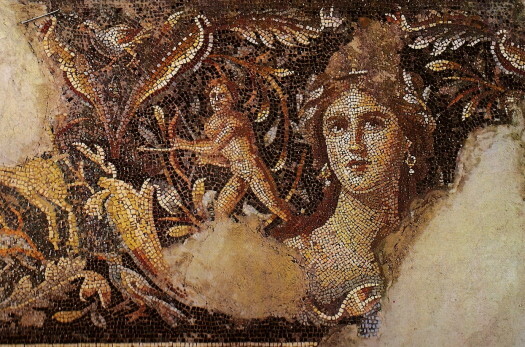 Many things can be deduced from this connection of Jesus with Zippori, including His cultural exposure. However, if Jesus was raised living and working at the construction of a prosperous Jewish and Greco- Roman political and cultural capital, this puts an entirely different perspective on the matter. Jesus would then have been exposed to the advanced Jewish learning available in Zippori, and He would have also been exposed to the high culture of the theatre, art, and some of the finest architecture of the Roman Empire. He would have been acquainted with what was said about the political, economic and military conversation carried on at the king’s court. Thus the Jesus of the Gospels is not mythical, but a credible description of the kind of man raised in these circumstances. It stands to reason that both men might have been heavily involved in all aspects of the construction of Zippori, and might have come in contact with many government and private dignitaries in the process of doing their work. The idea that Jesus would have known the treasurer of Herod Antipas and his family under those circumstances is not unreasonable (See Luke 8:1-3). There are also the ancient traditions about Zippori. During Byzantine times (c. 300 – 600 AD), Christians built a church building in honor of the father and mother of Mary, the mother of Jesus. It was believed that Mary was born in Zippori, and that her father was the headmaster of the Yeshiva (Rabbinic school) there. Another tradition is that Jesus was educated at His grandfather’s school, and there received His rabbinic training. After all, people did call him Rabbi, and this was not a term lightly used. You had to have been through rigorous training to be recognized as a rabbi. These traditions are not mentioned in Scripture, but there is a ring of truth and consistency with the Scripture to them. All these things we mentioned to Ilan, our guide, and he seemed genuinely interested. He left me and went inside the Kibbutz building. I continued there on bench outside the building. Some minutes later an older thinner man came out of the building. I took him to be one of the leaders of the Kibbutz, perhaps the rabbi. He came up to about six feet from me and simply said, “It’s an interesting theory, but why is it that Zippori is never mentioned in the New Testament?” That was a very pertinent question, and I tried to respond succinctly, “That is correct, but Luke 8 informs us that one of the primary financial supporters of the ministry of Jesus was a woman named Johanna, the wife of Chuza, the treasurer of King Herod Antipas. How did this happen?” I thought the gentleman and I would then have a discussion about the whole question. Instead he looked very thoughtful, perhaps a little stunned, briefly nodded and turning around, returned to the building. Again, time passed, and the next thing I knew, Ilan came out of the building toward our pilgrims returning to the bus. He began telling them excitedly about the connection between Jesus and Zippori and asked me to tell the passengers about the book I had mentioned to him. My impression was that there had been a considerable discussion in that room about this issue, maybe even looking up the passage in Luke I had indicated, and had come to the conclusion there was something to this connection between Jesus and Zippori. Why would these dedicated rabbinic men be excited about Jesus and Zippori? They were not particularly interested in Jesus or the New Testament. Why then? Tourism might be involved. Tourism is the life blood of Israel. Pilgrims come from all over the world to visit the holy places in the Holy Land, but relatively few come to Zippori. If it could be established and publicized that there was a lengthy and genuine connection between Jesus and Zippori, Christian tourists would flock to Zippori as well as to Nazareth. These Orthodox settlers may well envision how this increased activity could enhance their tourist outreach. Batey’s book has been out there for years, but only a few evangelicals have picked up on its message. I have made inquiries, and found that all of the above information has been ignored in most of the publications on Zippori. Why? The story behind the book is instructive. Batey informs us that the book was originally designed to be a lengthy cover article for the NATIONAL GEOGRAPHIC magazine. They advanced him a handsome sum to produce a fully photographed and documented report on the archaeological findings about Zippori. Batey worked closely with one of the lead archaeologists there, Dr. James Strange, a professor at the University of Southern Florida, originally from Tyler, Texas. Moreover, even the latest of the accepted gospel dates are not based on evidence from the historical, literary or archaeological record, and over the centuries a more “radical” school of thought has placed the creation or emergence of the canonical gospels as we have them at a much later date, more towards the end of the second century. D.M. Murdock, Stellar House Publishing. After Herod’s death (4 BCE),. . . . Zippori did not remain in ruin for long––Herod Antipas restored it so beautifully that Josephus Flavius described it as “the ornament of all Galilee.” Later, Rabbi Judah Ha-nasi moved the Sanhedrin from Bet She’arim to Zippori, where he redacted the Mishnah in 220 CE. The sages of Zippori also contributed to the Jerusalem Talmud, which was completed in the fourth century CE. Thus most of the academic and archaeological world is convinced that there was no significance to the proximity of Nazareth and Zippori in the life and ministry of Jesus. in reference to Zippori in relation to Nazareth? What if Christians began to realize the full significance of the teachings of Jesus in light of what was going on at the time in Galilee and in Israel? It is my prayer that the Lord might use these brief contacts and discussions on the hills of Lower Galilee to help bring many to learn more about the Jesus accurately presented in the Gospels, and believe in the incomparable Teacher, the crucified and risen Christ.